Liked our blog? Why not get an email when we post. Just type your email address below. It's absolutely free! Nature is filled with some of the most fascinating and bizarre things. From mind controlling parasites to zombie-d animals and insects, one close look at nature and it feels like something out of sci-fi. The Cordyceps fungus is probably nature’s way of keeping a check on the populations of insects. There are thousands of different types of Cordeceps fungi, with each being very specific to a particular insect species. The Ophiocordyceps unilateralis, for example, infects ants in particular. When into the ant’s system, it alters the behaviour of the ant to ensure it spreads its spores in the environment. Ants that are infected, referred to as zombie ants, wonder alone and perch themselves on branches, or leaves ensuring the viability of the fungus. Experts have witnessed that the ants generally chose a spot that is high in humidity, and have temperatures between 20-30 degrees making sure that the fungus survives. One can generally find a graveyard of almost 20-30 ants in a square meter. The fungus is so dangerous it can whip out entire colonies. Snails generally love shade and are shy to come out in the open. But this is not the case when a snail is infected by Leucochloridium paradoxum. The primary host of this parasite are birds. The worm matures and reproduces in the gut of birds and spreads its eggs through bird droppings. 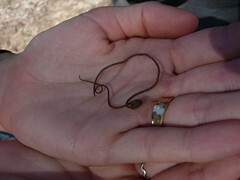 The dropping loaded with parasite larvae are consumed by snails. But snails are not the most alluring prey for the parasites primary host. The worm is quite smart, has a way around this too! When ingested by the snail it makes its way to the snail’s tentacles, and mimics a vibrant, pulsating grub or caterpillar. A snail is generally shy and loves dark places, but when affected, it is compelled to go out, away from the shade and expose itself in the open. The pulsating tentacles are likely to catch the attention of a bird, and the parasites thus complete its deadly cycle. Discovered in 1908, this is one of the most fascinating parasites out there. Its primary host is the cat (wild and domesticated), where the parasite spends the sexual part of its lifecycle. But that is not the interesting bit, when the parasite is in its juvenile stage it is hosted by other warm blooded animals (including humans). The most likely host for Taxoplasma, in its juvenile phase is the rodent and that is when it starts getting fascinating. When a rat is infected by Taxoplasma gondii, there is a dramatic change in the rat’s behaviour. A typical rat stays away from cats and wants nothing to do with them, but when a rat is infected by Toxoplasma gondii, it becomes less afraid of its mortal enemy, in fact studies show, that rats infected by this parasite are perversely attracted to cats! These bugs literally take control of the rat’s brain and urge them closer to the cat. It has been observed that the bug infects the amygdala (the fear centre) of the rat’s brain. But strangely the rats response to other danger stimuli is never hampered. When checked for their response to shock, the infected rats seem to have the same response as normal rats. The bottom line, the parasite actually ensures the safety of its host, so that it is consumed by a cat, and a cat only!! It was believed that toxoplasma had no harmful effects on humans, but recent scientific studies show something very different. It is believed that Toxoplasma gondii, can in fact manipulate with the biochemistry of our brains too. Very interesting post. Thank you. You wrote "It is believed that Toxoplasma gondii, can in fact manipulate with the biochemistry of our brains too." I wonder if certain psychological disorders can be, in part, explained by this phenomenon. Mother nature is intense and amazing! Your deduction is on the same lines as many in the scientific world. In fact there are many scientist who are taking a closer look at many psychological diseases through the Toxoplasma lens. This parasite may actually change our view on many psychological disorders!! This is potentially very wonderful in terms of having an effective treatment for certain people. Many thanks! More and more recent research indicates that microbes are quite influential when it comes to Neuro-Biochemistry. For example psychobiotics is now a potential scientific reality. In some cases, the pathway is well understood and in some cases studies are yet to identify the molecular pathways. Please let us know your thoughts in the comments section below. Do free energy magnetic motors really work? The internet is rife with websites that promote generators that are capable of providing electricity without using any fuel. Built largely with magnets, these 'free energy generators' promise to cut your electricity bills and provide a much greener alternative to the electricity that is largely generated out of fossil fuels. Elaborate videos that give you estimates of how much money you can save without revealing any details of how to go about it, manage to keep the audience hooked on for a while, but $40 price tag, the loads of freebies and the instant $10 discount for not leaving the page, make the product and its seller highly suspicious. So, we decided to find out if these free energy magnetic motors really work? Why Sci-Hub’s story is so crucial to science? On the 28th of October 2015, Judge Robert Sweet in his ruling at the New York district court declared that the website www.sci-hub.org be blocked with immediate effect and managed to stop hundreds and thousands of researchers and science enthusiasts from accessing the holy grail of today’s science, the research paper. 5 things driverless cars will do to change our future? The race for building the world’s first commercially available driverless car is on. Google seems to be leading the pack and in its own charismatic style has been very open about it. Elon Musk’s Tesla is considered the second best with their cars having almost automated the driving process. Tech favourites, Apple also seem to be in the race but everything is under wraps, as of now, and there is not even a hint of what Apple is planning to make, the car, the software or simply make the car accessible with your Apple ID. Once part of science fiction, driverless cars will soon be a part of our lives and with major automobile manufacturers such as General Motors, Toyota, Ford investing in the technology, prototypes of driverless cars will soon be seen on the roads. Before we get there, a quick review. In case you have read my last month’s guest post about harvesting solar energy in rust, you would be delighted to know that there has been yet another breakthrough in our attempt to harness solar energy. For many years, solar energy has been targeted for being unavailable at night and during rains. The problem of utilizing solar energy at night can be resolved with the help of metal oxide cells as elaborated in my above post (do read it, if you have not done so already). And now researchers at the Ocean University in China have addressed the second problem and developed solar cells that can actually use rain drops to generate electricity.